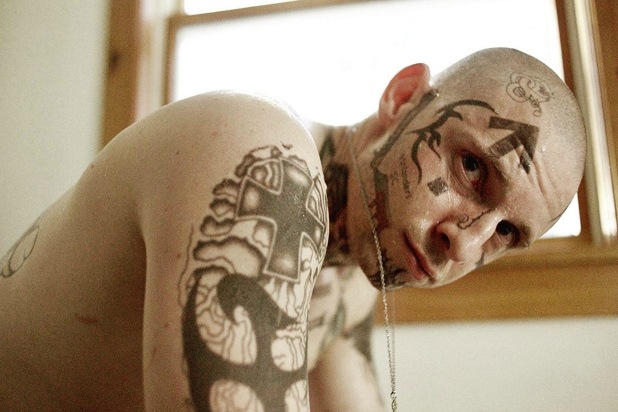 A24 has picked up North American distribution rights to the Jamie Bell-led drama “Skin,” in conjunction with DirecTV. The film had its world premiere during the Toronto Film Festival over the weekend. Under the deal, A24 will release the film in 2019. Directed by Israeli filmmaker Guy Nattiv, “Skin” is inspired by the true life story of Bryon Widner, a young man raised by skinheads who is transformed by his relationship with a single mother of three children and a compassionate African American activist. Bryon decides to turn his back on violence and hatred and to risk everything for a new life of tolerance, empathy, and love. Widner, whose story also inspired the 2011 MSNBC documentary “Erasing Hate” was one of the FBI’s most wanted white supremacists. He endured death threats and harassment from his old gang while attempting to turn his life around. With the help of the FBI and Southern Poverty Law Center, he underwent 25 brutal tattoo removal surgeries in exchange for decoding the tattoos covering his body, which culminates in the arrest and conviction of his former gang. Reviews for the film have been strong, and Bell has gotten an awards attention for his lead performance. “Skin” also stars Vera Farmiga, Danielle Macdonald, Mike Colter and Bill Camp. Producers are Nattiv, Oren Moverman, Trudie Styler, Celine Rattray, Jaime Ray Newman, Dillon D. Jordan. ICM Partners negotiated the deal on behalf of the filmmakers. News of the acquisition was first reported by Variety.